22. März 2017 by rsp-blogs·Kommentare deaktiviert für Arthur Lives! Die zweite Edition des Rollenspiels Arthur Lives! soll nun via Kickstarter gecrowdfundet werden. Der Kickstarter soll am 2. April starten und die für Fate Core neu geschriebene Version des ursprünglich als True20 Urban Fantasy Rollenspiels möglich machen. Arthur Lives dreht sich um mythische Reinkarnationen der König Arthus Sage. 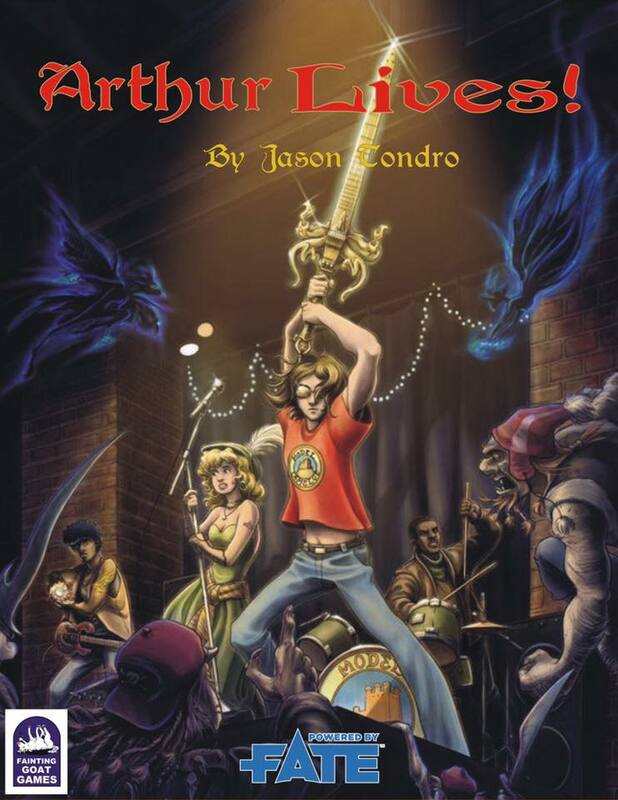 I’m very excited to officially announce the Kickstarter for ARTHUR LIVES! 2nd Edition. 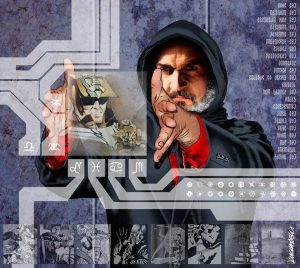 Character creation guidelines for knights, damosels, magicians, and kings, allowing you to create a modern reincarnation of almost any character from Arthurian myth (including ones you make up yourself). Detailed advice for ten specific Arthurian characters, including famous names (Arthur, Merlin, Guinevere) and lesser known figures. Stunts and Extras for your modern reincarnations, allowing them to integrate their Arthurian abilities into a cinematic, supernatural present. A complete magic system, Enchantment, with over a dozen different magical talents from Binding to Weather Control. A bestiary of fantastic creatures from our world and from across the Faerie Veil, residents of both Heaven and Hell, rival reincarnations, and members of occult conspiracies who know Arthur is returning and have their own plans for him. A detailed history of the first few years of Arthur’s reign, focusing on his struggle to become High King. A secret history of Arthur and the cause for his (and everyone else from the Arthurian Age) sudden reincarnation in the modern world. Campaign advice for the Fate GM, including both the traditional AL series and all sorts of optional takes on the material, so you can make the game your own. The Kickstarter launches APRIL 2. Join us, and stay tuned for more. Der Beitrag Arthur Lives! erschien zuerst auf FateRpg.de.